Arturo Fuente Exquisito Cigars are a carefully handmade cigar in the famous A. Fuente factory in Dominican Republic. The blend of these cigars is made from selected Dominican fillers and binder which are aged patiently. A natural Ecuadorian sun grown wrapper is employed to cover this blend. A great Dog walker! Since 1980, when Tabacalera A. Fuente opened a factory in Santiago, Dominican Republic, they have created the world’s finest cigars. 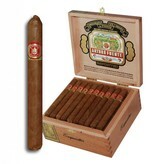 The ever popular Gran Reserva series is Arturo Fuente’s most popular line of cigars. The series are hand rolled in a variety of wrappers such as African Cameroon, Ecuadorian Sun Grown and Connecticut Broadleaf. The leaf is selected from Fuente’s own private reserve. After being skillfully rolled, the cigar is aged to perfection in Spanish cedar vaults in the Dominican Republic. 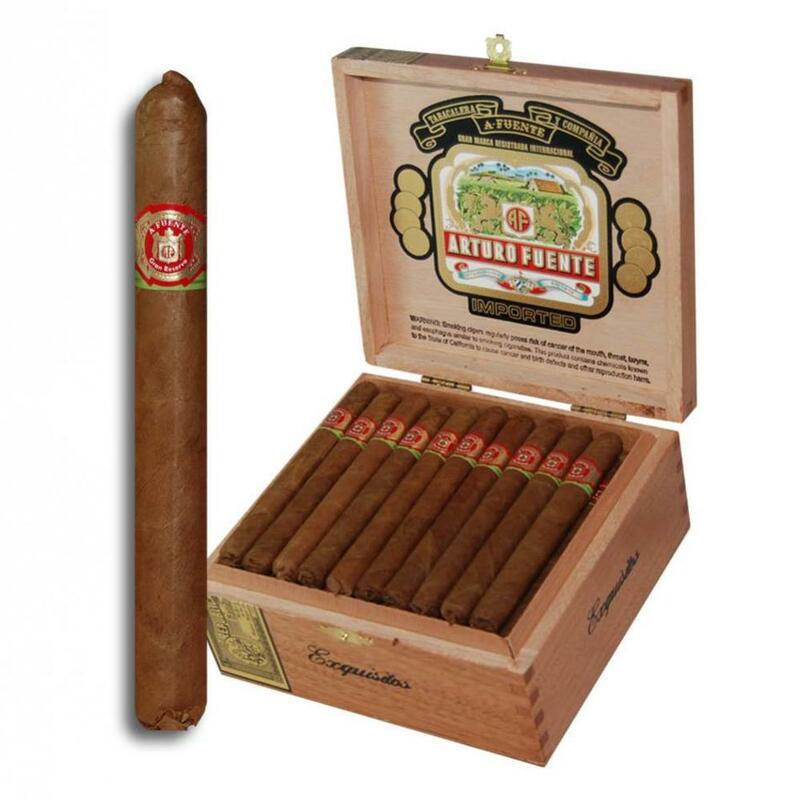 The Gran Reserva Exiquisito’s Sun Grown is made with a smooth, oily Ecuadorian Sun Grown wrapper and the select blend of Dominican tobacco is mild to medium-bodied. The flavors are reminiscent of caramel, earth and hints of espresso. The smoke is slightly gray and aromatic. The short Exquisito stick is full flavored and perfect for those who do not have enough time to smoke a larger stogie. Due to the short burning time I prefer to enjoy the Arturo Fuente Gran Reserva Exquisito’s Sun Grown with my morning cup of coffee. But because it’s so favorable I tend to choose it as my after dinner smoke and pair it with Jack Daniels. On cooler summer nights, and in the fall, my drink of choice is the Tennessee Mule. Here is the recipe. Enjoy!